Our Most Durable AlleyOop Basketball Set! Features 4 strong ProFlex springs where hoop mounts to backboard to withstand more vigorous play. 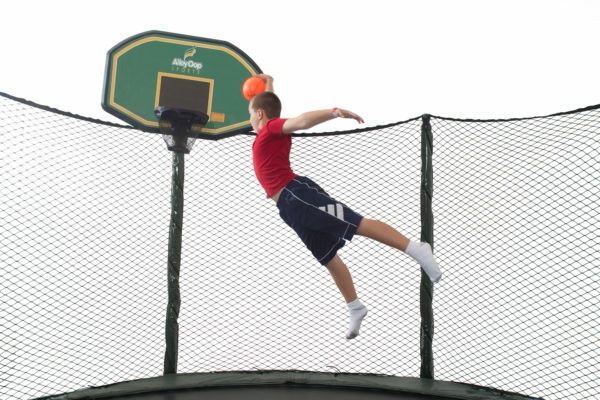 Designed to fit securely on your AlleyOOP Trampoline Safety Net Enclosure!